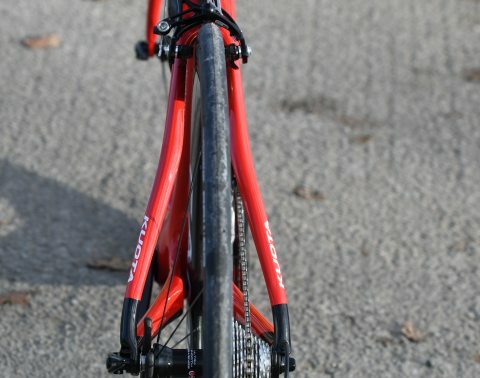 A preview of the 2018 bike in the colours of a long established French pro team who will be racing them in 2018. 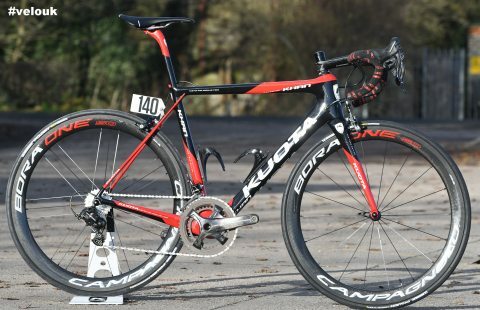 On Wednesday, former British Crit Dave Williams champion, boss at Kuota UK, gave us a preview of the 2018 bike in the colours of a long established French pro team who will be racing them in 2018. 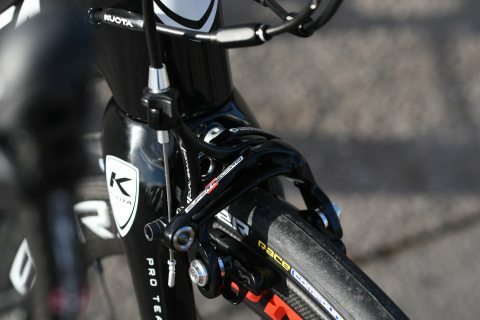 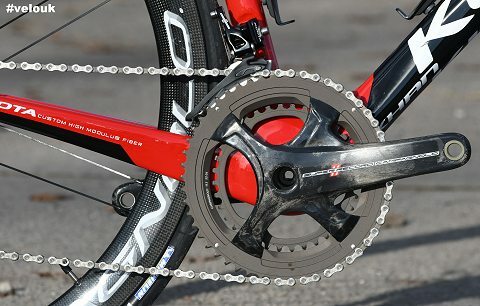 With Campagnolo Super Record, and the top of the range Khan frame, its a one hell of a racing machine which was raced in Italy and UK last year. 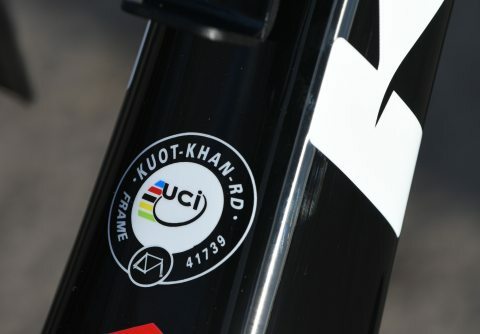 The 2018 version of the Khan is very similar to the 2017 version with some tweaks here and there. 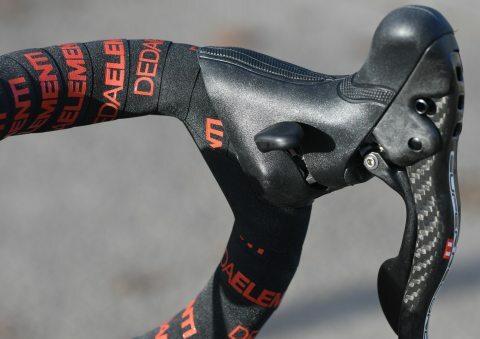 The model here is equipped the same as the French pro team version in 2018 and we’re told in 2018, an off the shelf version in these colours will be released. 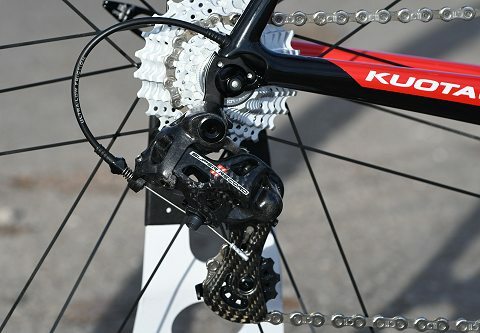 A disc brake version is also due in 2018. 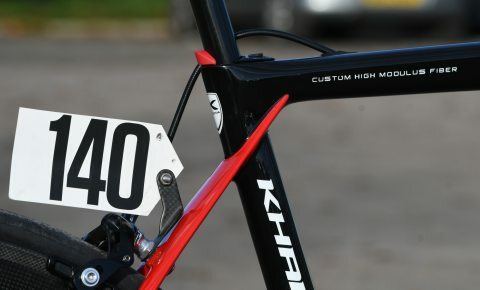 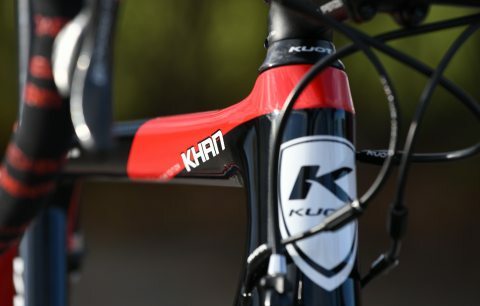 The Khan is a race bred bike, the same as Dan Fleeman won the 2017 CiCLE Classic on and we all know what a demanding race that is! 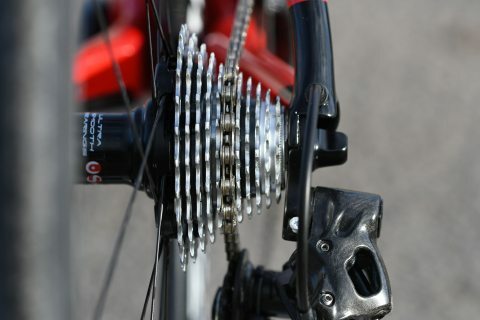 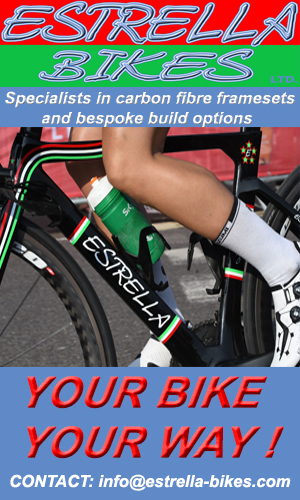 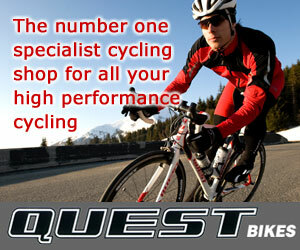 The bike pictured has the Campagnolo Super Record groupset, Bora 50 deep section carbon wheels and Michelin tubulars. 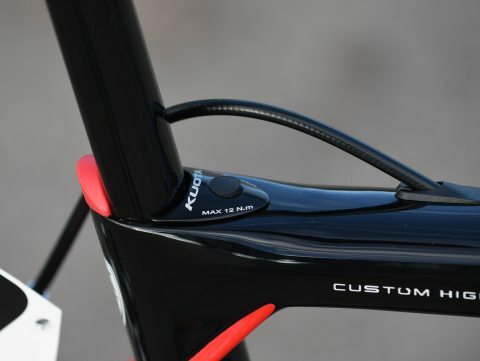 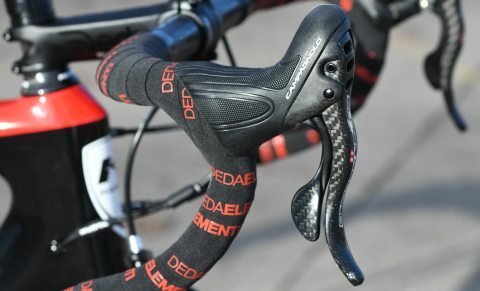 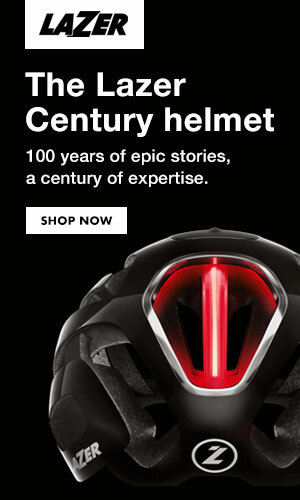 The bike has been designed to be fast, aero and as comfortable as a race bred bike can be in the aero positions riders tend to find themselves riding in. 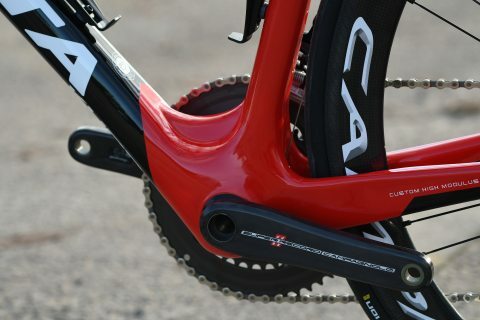 One look at the bottom bracket area and you can see why the power is not lost when the hammer goes down with a strengthened carbon shell around in the power delivery part of the bike. 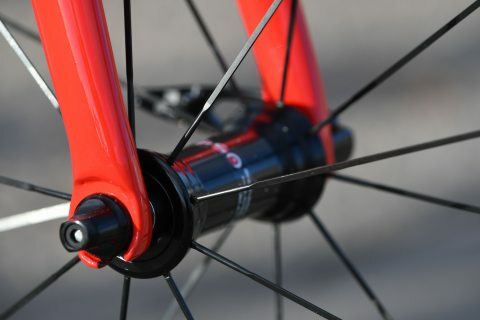 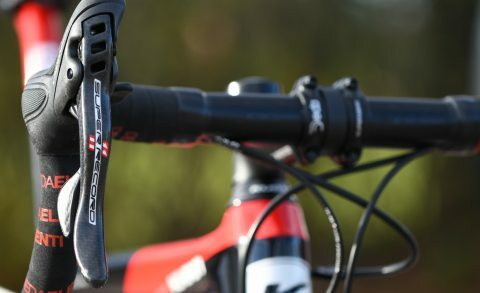 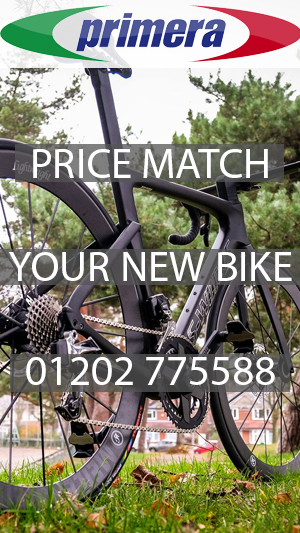 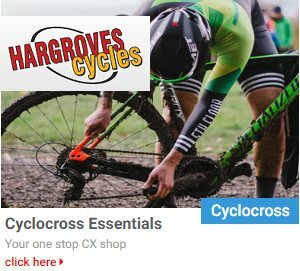 With it’s clever fork and rear triangle design, providing improved road vibration damping whilst maintaining excellent torsional stiffness, the bike is designed from the ground up to race. 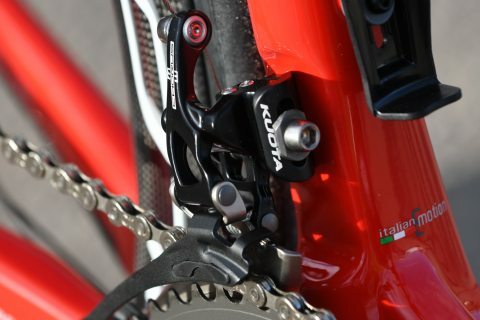 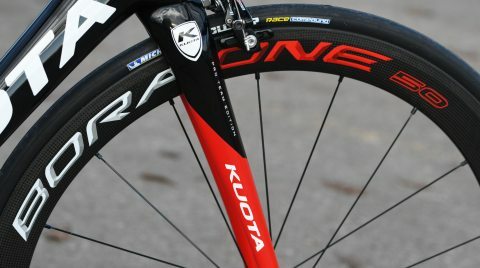 And unlike some off the shelf bikes which have a fixed spec when it comes to the groupset etc, Kuota UK off various custom options to make sure the customer gets the bike they want, not what the supplier wants to sell them. 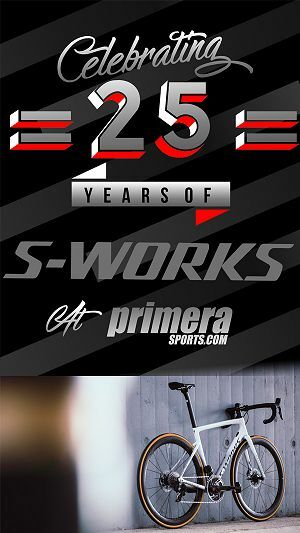 More on the bike when its released for sale in 2018 ….